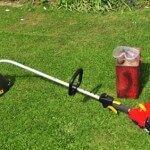 Home Blog Weed Eater How Does a Weed Trimmer Work? A weed eater is one of the common tools that gardeners use to take out all the unwanted weeds in the garden. They came in battery powered, electric and in gas-dependent tools. The generic name for it is a string trimmer while others call it “whipper-snipper,” “weed whacker”, “weed eater” and/or “strimmer”. These tools are light-weight and they can trim all those unwanted grass by using a swiftly spinning microfilament string that becomes hard enough to cut grass and weeds. 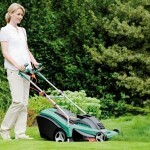 This is very convenient for homeowners compared to the old models of weed trimmers that use metal blades. In this way, owners can just replace the worn out filament compared to the frequent sharpening of the heavy blades. One of the benefits of adding a string trimmer in the toolbox is that it can reach places that a normal lawnmower can’t. 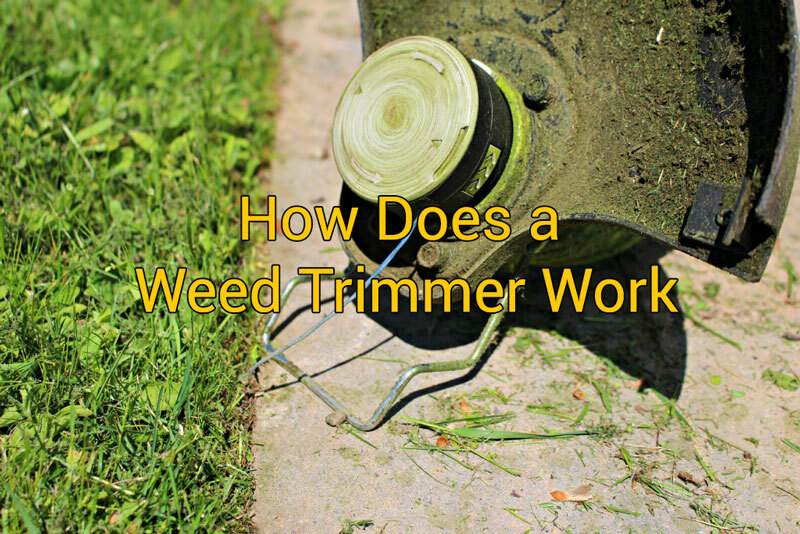 Video – How Does a Weed Trimmer Work? The first part of the weed eater is the engine, which provides the needed power for the machine to do its work. Just like any gas engines, it uses simple combustion to make it run. It is accompanied by a carburetor and an exhaust. Starting the tool won’t be a nuisance as it is very common in most gas engines, it has a pull- rope method on most weed eaters which causes the spark plug to fire and start the engine. 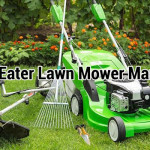 In addition, other types of weed eaters have an electrically powered engine. These tools are less powerful compared to gas engines models. These machines are only limited to a 2.5 diameter string due to the inefficiency to only pull 1200 watts of electricity but of course, these machines won’t sell if it doesn’t any benefit to it. The electric powered trimmers are quieter, lighter, and requires lesser maintenance compared to their gas-powered cousins. Nowadays, there are more models of electric powered trimmers. Newer models are now cordless because of the rechargeable battery installed inside. However, these newer models tend to cost more and usually are the most expensive trimmers in the market. These wireless trimmers are much heavier than the corded counterparts and can only be used for light trimming. 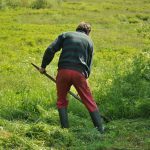 Lastly, when it comes to choosing the best type of trimmer for the household, gas-powered engines tend to be more powerful and can slice off woody brushes and taller grasses. Some of the gas trimmers have a rotating function for it be used for edging. However, gas engines will still always create emissions due to the engine. 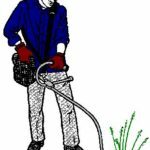 For more information about the type of weed eater that best suits the household, probe the area that needs trimming and base the decision on what type of weed eater fits the area. The engine connects to a spiral clutch that connects to a drive shaft that extends towards the shaft of the machine and lastly to the trimmer head. The clutch will retract its wings whenever the machine is not in use. When you start the engine and pull on the throttle, the wings extend outward and engages the drive shaft, which turn starts the trimmer head. The trimmer head can reach up to 25,000+ feet per minute which give it the power to cut through thick grass and weed. Most gasoline powered engines have a choke or a priming mechanism to help cold start the machine. It is important to only use these according to the instructions that came with the machine to avoid damaging the carburetor when starting the tool. The diameter of a trimmer varies from the size of the tool but the most common measurement would be 0.065 to 0.090 inches, be aware of this so that the machine will operate properly. All the information needed can be found in the user’s manual that comes with the trimmer. All the models have a guard for the user’s face to protect it from flying debris and rocks. 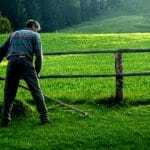 Make it a habit of placing the guard whenever the weed trimmer is needed.